It’s hard to sell you this book without putting it into some context. It’s not a book within another book. It’s not the pseudo fanfic of a published author. 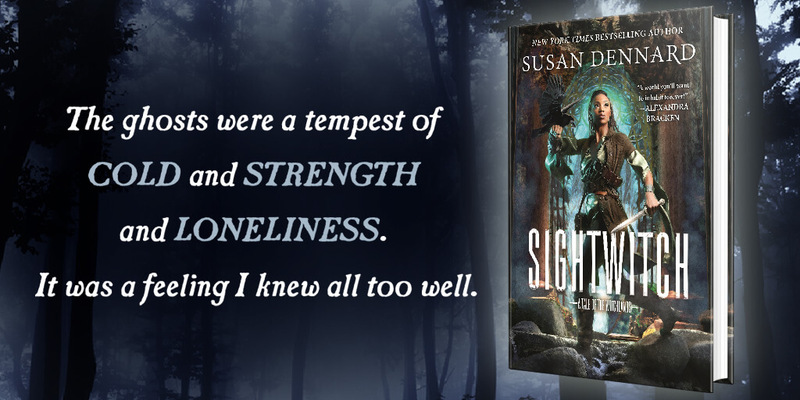 It’s not the last book in a series that will never be published. How do I say, it just is? Carry On is about a chosen-one whose path is more complicated than he imagined. It’s about fruitless war, about a magical world in chaos, about a birthright disrupted, about being ‘other’ and alone. Where did an author who writes mostly contemporary YA get the idea to write a gritty Fantasy that puts a chosen-one on his head and spins him around? 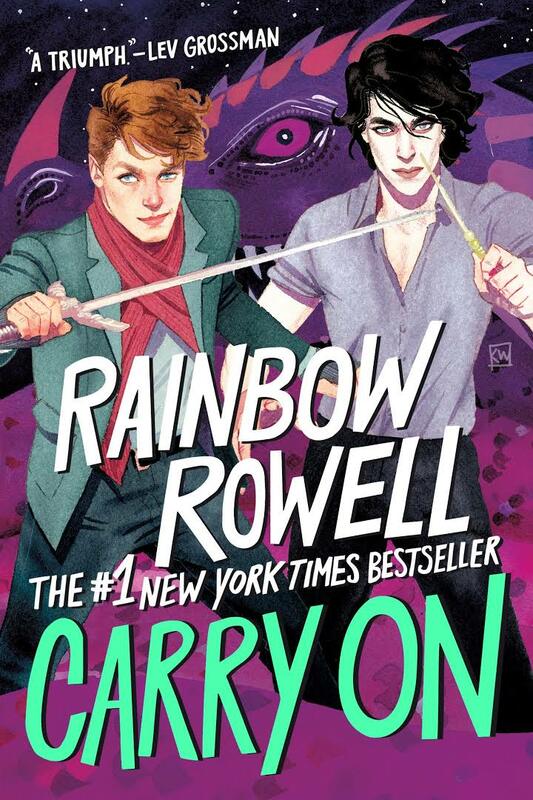 So, in 2013 Rainbow Rowell published a book about a fangirl who goes to college and among many other things, writes fanfiction shipping the hero of the Simon Snow series and his archnemesis who keeps trying to kill him. It becomes a viral sensation, and Rowell was intrigued by these throwaway characters she’d created. Folx who want to feel like it’s okay can be both assured with this story and yet feel a little lackluster depending on where they are in their journey, probably. Considering the more compelling character, the ‘queer’ one, doesn’t arrive until several months have passed, you begin to get carried away with the obsession of waiting for an enemy to arrive, and I’m sure we already know how that’s gonna go. It was fairly light, considering how heavy it is (double entendre intended) and Simon’s loneliness made a good foil to the assurance Baz had. And that search for company among all the characters, made for some sincere pathos. Simon's anxiety as well was good to read. Not to mention the magic system was interesting, and the humdrum made good use of it! I know the whole mage world was more integrated into the mundane world in this, but it still was refreshing to see ‘gay’ and ‘queer’ used in a fantasy setting. And oh man, the kissing was blush-worthy. And a fluffy ending? Check. What I didn’t like was that the diversity was minimal, which is fine, it is what it is, but I think I’ve grown to expect all sorts of people in stories, and to only have one canonincally non-white character in a significant role was a little disappointing. As for MOGAI rep, one character is gay but refers to themself as ‘queer’ several times, and another character is unsure. I also was jarred by the homophobia of one parent. And it was surprisingly demure considering how many curse words there were… But then again, it isn’t own voice. And between all the feelings and confusing bits of dreams and visions, the plot is kinda sparse. I really didn’t appreciate the vagueness at the end after all those questions were posed and all sorts of intriguing theories were proposed, we weren’t really ever filled in on what was the true answer. Now I get it, life is sometimes like that, and a dose of reality can take a book from flab to fab, but the hand-waving in conjunction with a somewhat sanitized queer romance make me feel that this book is overhyped. Is it darling? Yes. But it has serious flaws as well. And frankly, I could have used a little more fluff. Like a lot. But I still strongly recommend it, mostly probably because it made me blush and that epilogue!